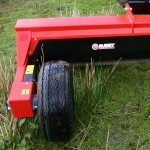 Dual rollers offer the most cost effective solution to grassland weed control. Only weeds are targeted for massive savings on chemical and it’s eco-friendly. 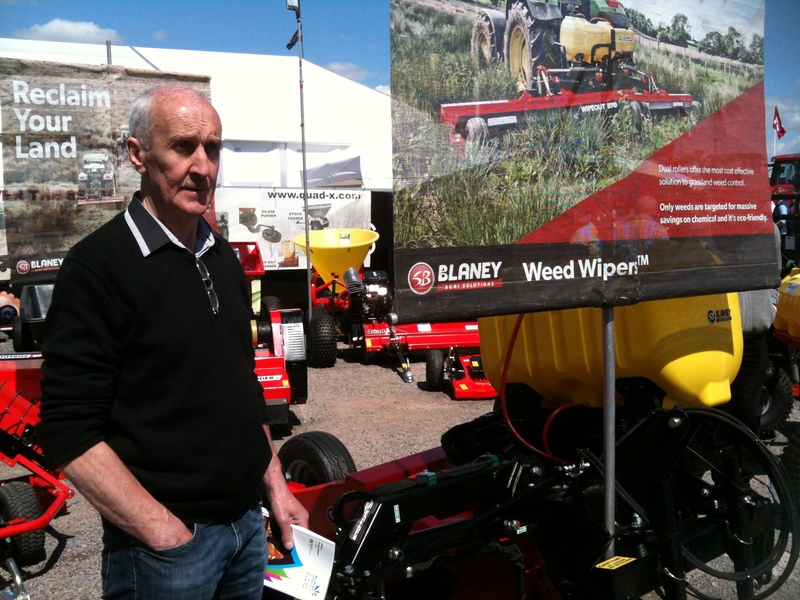 Blaney have been pioneers in developing weed wiping technology which has become the most effective proven alternative to boom spraying, thanks to massive savings on chemical. By targeting only the weeds with herbicide, the grass and valuable clover are left untouched and grass growth rate is not affected. Weeds on grassland can be controlled effectively though weed wiping provided the weeds are taller than the grass. 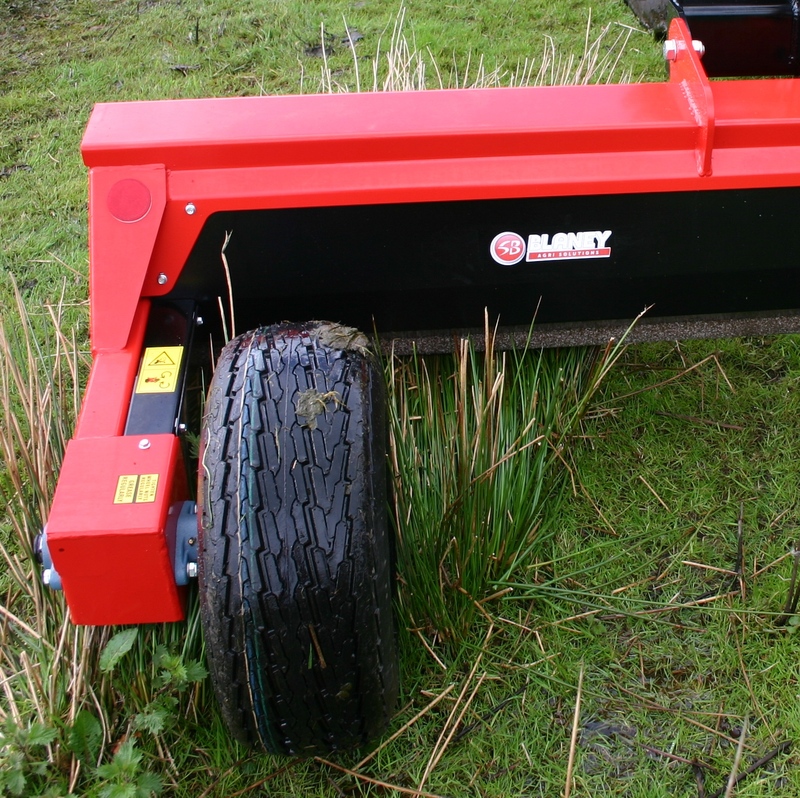 Blaney have developed a range of revolutionary patented Weed Wipers to deal with the toughest of weeds, including the 2.4m wide Quad-X Dual roller Wipeout 2™ and Xterminator 2™ which can all be towed behind an ATV, Utility Vehicle or Tractor. 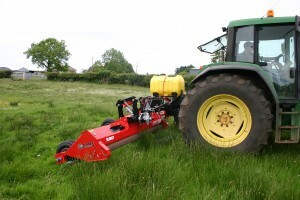 The tractor mounted wipers, with contact widths from 2.4m -6.6m, offer a unique solution for weed control even across larger grassland areas. With no off spray, wildlife habitats and species rich protected areas are less affected and it makes weed control healthier for you too. For smaller applications or if you can’t access your ground with your tractor why not try our ATV Weed Wipers towed models manufactured by Quad-X our ATV machinery division, available in 2.4m widths with flotation tyres as standard to tackle those wetter areas tractor can’t reach! The Xterminator 2™ is a manual system where the user controls when and how much chemical needs to be applied to the rollers from the cab of the tractor. However it is equipped with DUAL contra-rotating rollers. The Wipeout offers massive savings on chemical over any conventional system and is ideal for environmentally sensitive areas where boom spraying is not appropriate. What makes the Wipeout 2™ superior to anything else is the automatic chemical application and the dual roller design. The automatic weed sensor system detects your weeds and only applies chemical to the rollers when weeds are present, meaning no guesswork and no wasted chemical. The Wipeout Elite 2™ has all the features of the Wipeout 2™ but also comes with a unique chemical injection system; where the chemical is added to a separate tank from the water. This patent pending technology has been designed to mix the chemical with the water at the set rate to ensure accurate mixing and prevents chemical being wasted. All excess chemical can then be safely and easily dispensed from the separate chemical tank back into its original container, saving expensive chemical on change overs. Blaney Agri offer an innovative weed detection system, available on the Wipeout 2 and Wipeout Elite 2 models. The system ensures that all you have to do is fill your tank and drive, and you will have no more need to guess when, where and how much chemical to apply. It is all done for you. 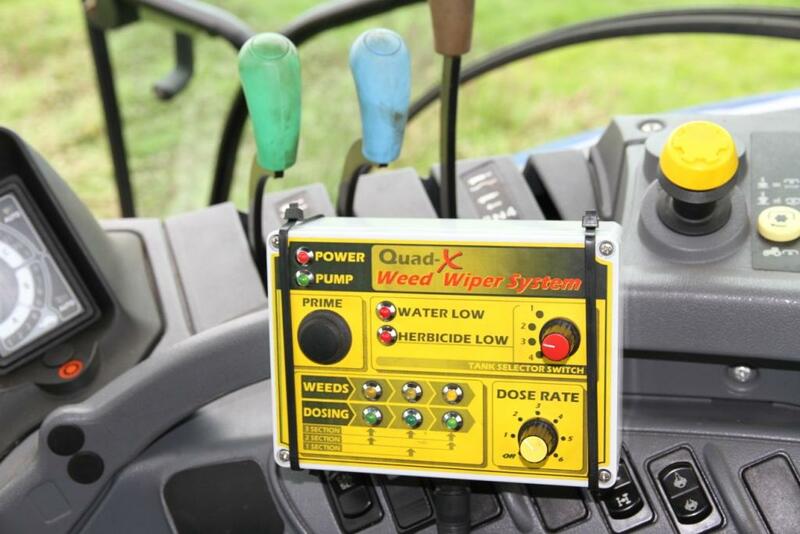 The weed detection system automatically activates the system to apply the optimum amount of chemical to the rollers, only when weeds are present, leaving you free to concentrate on driving while saving chemical. 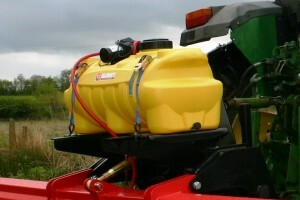 This unique chemical control system allows you to regulate chemical application rate for different weed densities to reduce costs, while maximising weed kill. 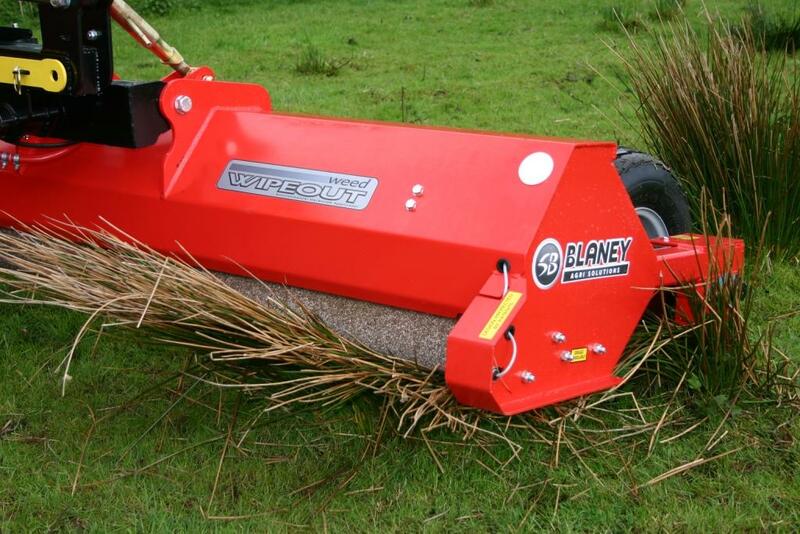 Through considerable development time and investment, Blaney Agri has discovered a process of unique atomisation technology, where chemical is applied in the form of micro-bubbles which attach themselves to the open fibre rollers without bursting. Upon contact with the weeds, the micro bubbles burst and provide a better stem coverage than the standard chemical film approach. Absorbent long fibre rollers ensure less drips and optimum chemical retention and application. Synthetic fibre rollers offer maximum chemical resistance and do not rot. Dual rollers rotate in opposite directions for optimum chemical application and quicker kill. Dual rollers help achieve up to 100% kill rates, without the need to wipe in the other direction, to save time and chemical. The 1st contra-rotating roller lifts the weed and applies chemical to the sensitive underside, rather than the waxy surface for faster kill rates. The 2nd roller acts to separate out clumps of weeds for better application. Chemical is applied to the primary roller, while the second roller absorbs any excess to minimise drips. Fully electronic in-cab controls allow you to operate each section independently, all from the comfort of your tractor seat. 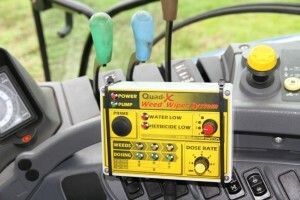 Depending on the width of the weed wiper, the controls will control either 1, 2 or 3 wings. System Diagnostics offer an easy troubleshooting aid, taking the fear factor out of the electronic system. (Wipeout 2 & Wipeout 2 Elite models). Blaney Agri offer a durable UV protected spray tank to hold the water/chemical mix. It is positioned on a raised frame to allow for easy inspection of the tank contents without having to leave the cab. The 3m wipers come with a 100l tank as standard (shown above) with the option to upgrade to a 230l tank. 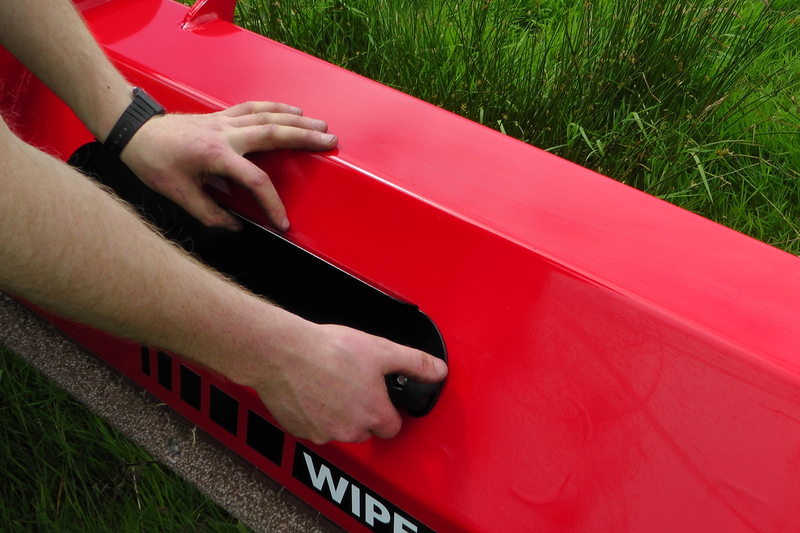 The weed wipers 4.5m wide and above come with a 230l tank as standard, with an updated tank retaining system. The image below shows the fold away steps which can be folded out for easy access when filling the tank. 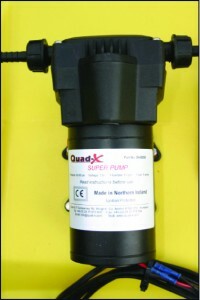 It comes equipped with a high capacity pump and is equipped with pressure relief. The pump is cleverly concealed for protection from the elements and any unwanted knocks. 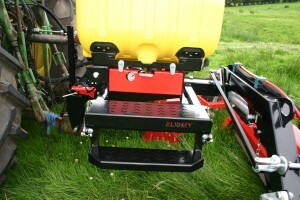 The Weed Wipers have an infinitely adjustable height range from 140mm to 500mm, depending on the tractor linkage. 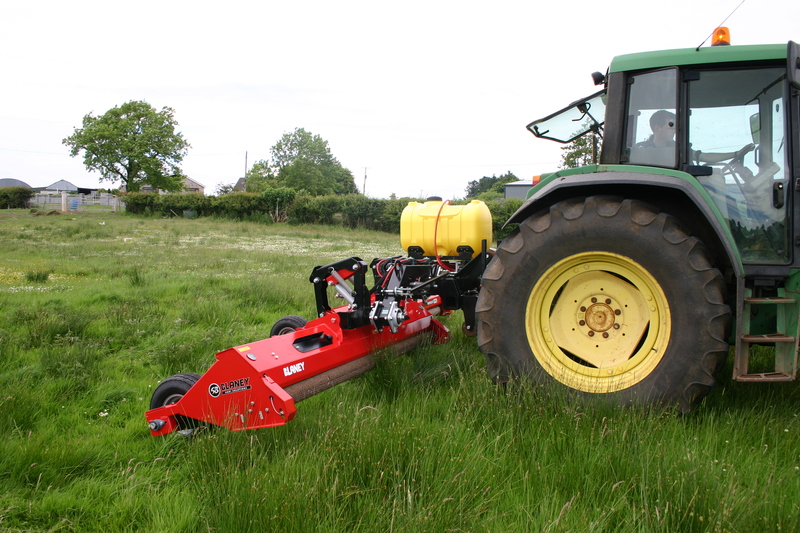 Hydraulic height adjustment is a feature on the 4.5m models and above, for quick and easy repositioning to suit grass and weed height. It is on the 3m model. 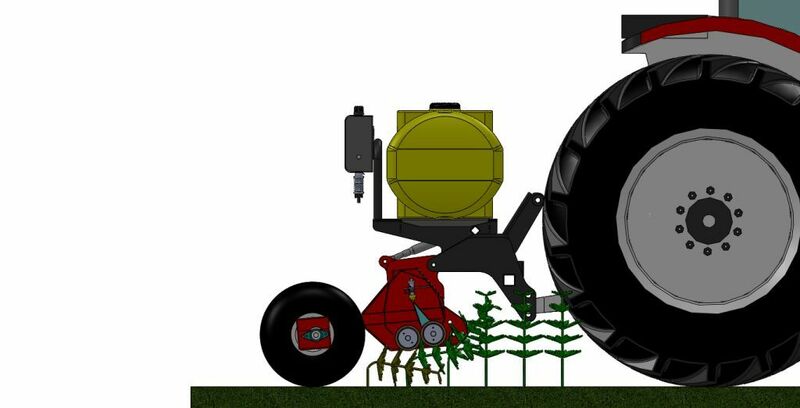 An innovative spring suspension system allows for floating over ground contours for accurate and effective weed kill. The machine can compensate for steep undulations, difficult to control in wider widths. The weed wipers are equipped with wide profile tyres to minimise tracks and surface damage in wet areas and tight turning circles. The Weed Wipers follow the contours of the ground for effective chemical application. Multiple units are designed to pivot for successful wiping even on undulating land. The innovative pivoting headstock allows the machine to better follow field boundaries (must be lifted at headlands). The range of weed wipers feature standard category 2 three-point linkage. Category 1 and 3 are optional. 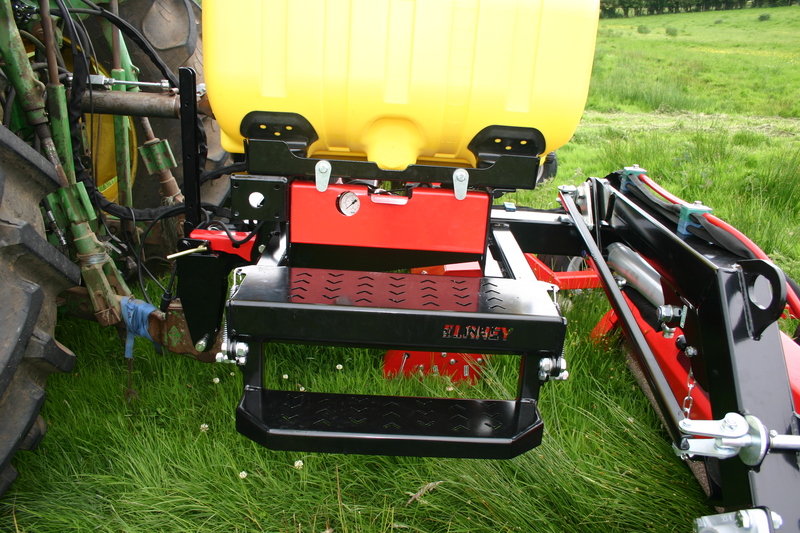 The tractor mounted weed wipers are ideal for use on outlying fields since they can be lifted on the linkage to allow you to drive between fields easily, without having the weed wiper rollers engaged and turning. Tail lights, indicators and brake lights are incorporated into the machine for safe road travel. Wipeout 2 models have multiple access points for quick and easy servicing of chemical atomisers. Weed Wiper Brochure Know your Enemy Fact Sheet!